How could they ever make a film of Burroughs' Mars sensation? How could they put "A Princess" on the screen? If 'twas to be believed, it must be seen. So he thought he'd seek a mountain full of gold. And thought he'd better start 'ere he got old. But they didn't ask politely and so John said, "I am gone!" But one cave's "welcome sign" was not inviting. And almost thinking, "Look, Ma. I can fly!" And John's leaps had them taken quite aback. To have a new recruit so skilled in "sak." 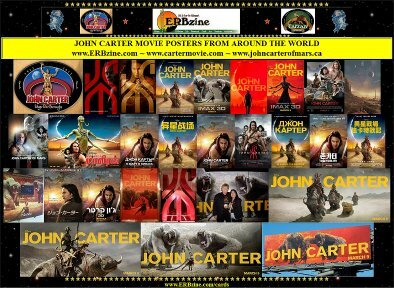 "John Carter of Virginia," he replied. "And one of them will take you for a ride." Tars Tarkas said, "This borders on sedition." And had a taste of "language" in the deal. To tell his daughter, "'Tis your wedding day." He told his girl, "There is no other way." But Dejah moved -- her marriage to postpone. The chief Thern, Matai Shang, said, "Who is that?" When all the Tharks said, "Hey. A Fight! C'mon!" "You're ugly but you're beautiful, you guy,"
He named John "Dotar Sojat," which, in Thark, means "my right arm." But which right arm? He didn't specify. "Explain just how you do it! Name your price!" the lady said. But John said, "Sorry gal, I'm not for hire." John explained to Dejah that he'd really come from Earth. She just smiled and said, "You mean Jasoom." "And what you say is Mars, we call Barsoom." 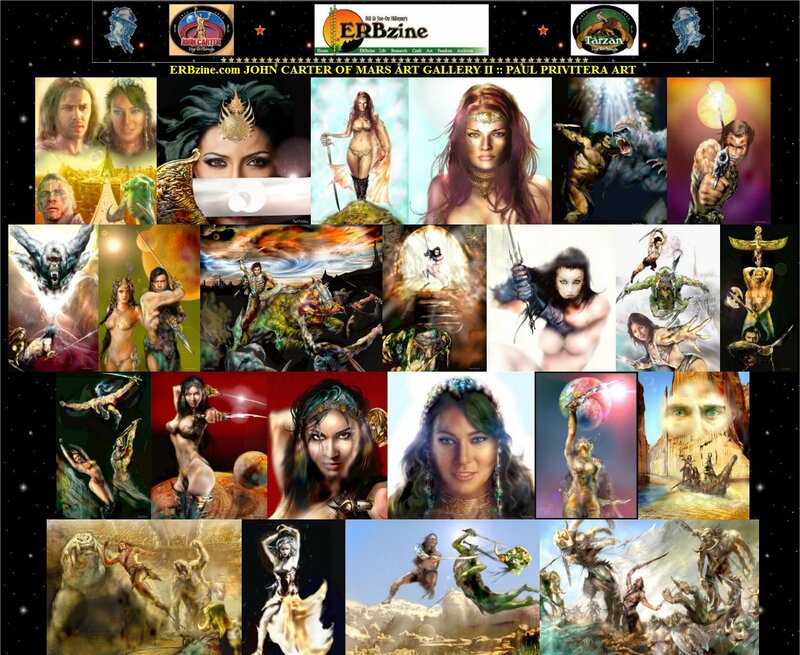 "Good God," remarked John Carter. "I'm on Mars." He told her of the amulet, now held in Tars' embrace. "An amulet?" she said. "Then you're a Thern!" "But I know you are steeped in Martian lore. "So maybe you can help me learn just how to work that thing. "And I'll go back to where I was before." If they didn't try to cut John Carter down. And carted Carter off to Sab Than's town. "Now show me how you jump, or do you fly like Peter Pan? "In either case, whate'er you do, take me!" They landed in the tow'r where Dejah stood. "You'd better bow, John Carter," said the one who sought his love. "I love you, John," she said, "for what it's worth." "What do you mean," she said, "And who's this 'he' you're talking 'bout? "There's no one here but me. I am alone." "I guess it's nearly time for me to step into your lair. "So let's get on with this big wedding show." And when they left he said a word like "dang." Ol' Woola had remained upon his trail. But would he be in time? A great big "if." And said, "Our Issus truly loves the just!" "Looks like we'll both find out," he said to Tars. 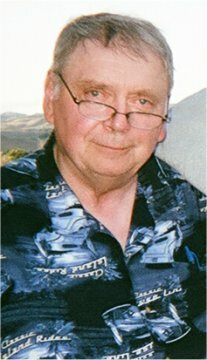 John Carter said, "It's way past time for talk." His sword became the other monster's bane. "You have no right," he countered. "You're not Thark!" "Oh yes he is," Tars Tarkas said. "He's Dotar Sojat, pal!" "Tharks sure didn't start this but we're going to end it now,"
Said John, "And now ya'll just follow me!" The actual ceremony was in Helium -- a pity! Tars couldn't help but give ol' John a cuff. "And take ourselves to Helium by air." "Tharks don't fly. So how we gettin' there?" "You can ride your thoats, but I'm goin' yonder through the blue,"
He had to get to Helium before they said "I do,"
And break up Sab and Dejah's wedding day. Dejah said, reluctantly, "I'm yours, I'll drink the brew." "Don't drink! It's all a trick! They're going to kill each one of you!" That's all it took to turn the battle on. Crying out, "Back off! This one is mine!" "It can't end like this," John thought. "This isn't what I planned! "I've got to find a weakness in this foe." 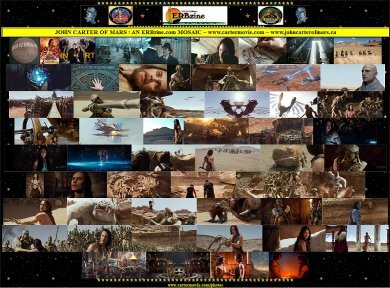 John Carter knew -- before long -- all could die. Tars swung his sword -- but Matai Shang was gone! "We've beat them, and our victory is here." 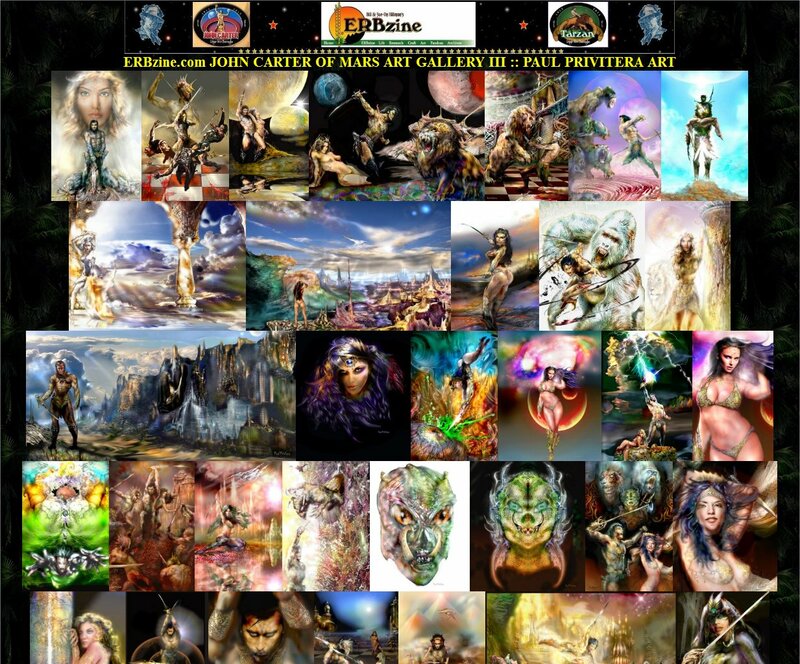 "Yes, John Carter, yes," her highness said. He used his pow'r to send John back to Earth. "Och ohem och tay wyees"...and then, "Barsoom." We know -- but will we see? -- and where and when? In 1968, Fantastic magazine published Charles Tanner's "The Princess of Mars," a takeoff on A Princess of Mars by Edgar Rice Burroughs. It's an enjoyable read as it tells the story of John Carter and Dejah Thoris in lines of rhymes. 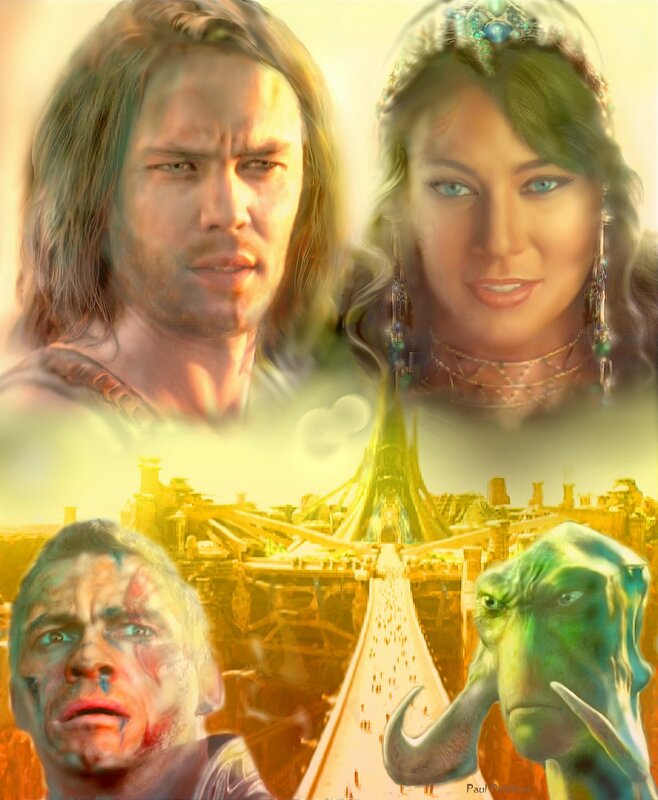 Now that the story of John Carter has been retold by Andrew Stanton, Tanner's effort of yore inspired me to try my own hand at telling a John Carter story in rhyme. My first version of John Carter, Stanton Style appeared in the Winter 2013 edition of ERBapa. The version above is an improvement, with addition of a few additional verses and the tweaking of several lines in the poem.